It was a cold day and the young man was wearing a cap. A soldier's cap had been placed on the table, but the soldier was nowhere to be seen. Could you unscrew the cap on this bottle for me, please? It's too tight. From a distance, all we could see was a white shape on the cap of the hill. The workers capped the well with a large stone. The tennis player capped her career by winning the women's singles and doubles at Wimbledon. The company has capped pay increases at just 2% for the next three years. Whatever Sarah says, her little sister always has to try to cap it. Cap is also a slang term for a capsule of an illegal drug. A hat is the general word for any sort of headgear. 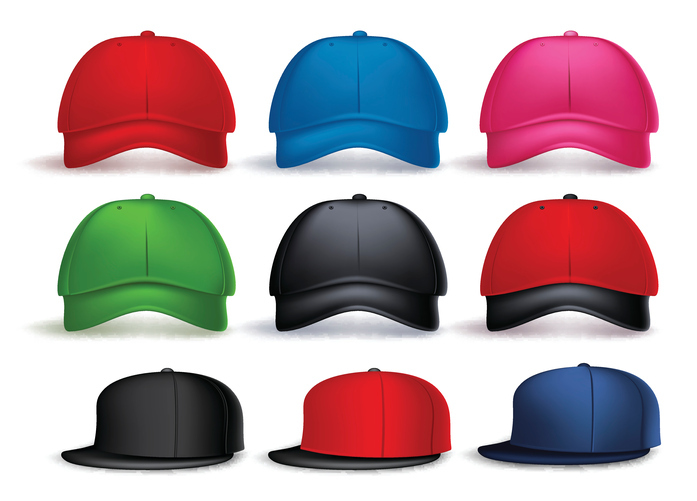 A cap is more specific, generally meaning a small and close-fitting piece of headwear. You may be most familiar with baseball caps, which many people wear; they are close fitting and have a peak (a bit that sticks out above your eyes). However, caps do not necessarily have peaks. The traditional Jewish kippah, for instance, is also a cap (more often referred to as a skullcap, because it fits so closely to the skull), and so is the headgear nurses normally wear and various types of military headgear, some of which have peaks and some of which don’t. Cap dates back to before the year 1000. The Old English noun cæppe, which became cappa in Middle English before dropping the ending, meant ‘hood or head covering,’ as well as ‘cape.’ It comes from the Latin cappa, which meant ‘hooded cloak or cape’ as well as ‘cap,’ and was probably a short form of capitulare (headdress), from the Latin caput (head). The English word cape also originated from this source, though in Old English, cæppa and capa were used interchangeably to mean cloak or cape. It became a fully separate word (with different spelling and pronunciation from cap) only in early Modern English. They are both, of course, related to the Spanish capa, the Old North French cape, the French chape, and the French chapeau, among others. By the early 13th century, cap meant only a woman’s head covering, but this meaning extended to men’s head coverings in the late 14th century. It extended further, to coverings on the end of objects, by the late 15th century. The verb comes from the noun and, meaning ‘to put a cap on,’ dates back to around the year 1400. The sense ‘cover with a cap’ appeared around the year 1600, and the figurative senses, ‘to go one better or outdo,’ and ‘to put a limit on something’ are both from the late 16th century.